Water damage is one of the most bothersome issues that plagues homeowners across the country. Its effects are far-reaching and hard to deal with. Fortunately, with the aid of an experienced roofer, you can negate its ill effects and prevent it from recurring. 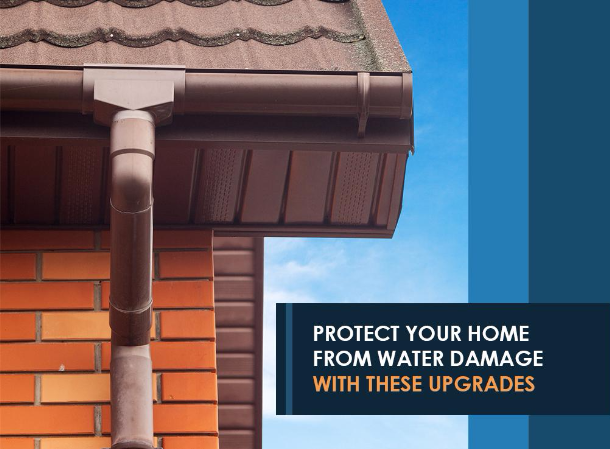 Here are some home improvement upgrades that boost your home’s protection from the threat of water damage. Just as gutters are essential to keeping your home free from water damage, a reliable gutter protection system is vital to keep your gutters free-flowing. Lack of maintenance can leave your gutters vulnerable to debris that gets caught up in them all throughout the year. When that happens, you can expect water to wreak havoc on your home. The perpetual onslaught of inclement weather will surely take a toll on your roofing system sooner or later. Being the element that bears the full brunt of nature’s wrath, roofing is the most common source of water damage at home. You can avoid damage by investing in a durable roof and the best roofing contractor you can afford. After the roofing system, it’s the siding that often falls prey to leaks. All the excess water that constantly bombards your roof finds its way by draining down the siding. Over time, its waterproofing can degrade, leaving your interior vulnerable to all sorts of water damage. Moisture and its side-effects aren’t an issue when you invest in proper waterproofing for different aspects of your home. Innovative Roofing and Siding specializes in quality roofing and gutters. With professional workmanship at competitive prices to boot, you can finally say goodbye to water damage. We serve Knoxville, TN, as well as many other nearby areas. Call us now at (865) 444-6070 for a free estimate.